The Swedish turnip is a root vegetable with purple skin and white flesh. While the rest of the world calls it swede, Americans refer to it as rutabaga. The vegetable is part of the cabbage family. It is an excellent source of vitamins and nutrients, particularly vitamins A and C.
Swedes, as their name suggests, are indigenous to Scotland. It was only introduced to other parts of Europe as a hybrid of a turnip and a wild cabbage in the late 18th century where it was prized for staving off hunger during leaner periods. In this way, rutabagas became a food staple among lower-income families across Europe. Despite the family resemblances, swedes should not be confused with their cousins. Rutabagas are larger, denser, and are higher in nutritional content. Rutabagas are not well-known as medicine. The vegetable has not been shown to cure or treat any acute symptoms of any particular illness. Its uses are merely culinary and they serve as good preventive food items. Ample intake of swedes promotes overall wellness and aids in nutrition. These are excellent food items for those on a weight-loss plan. They contain very little calories and are rich sources of fiber. This makes people feel fuller for longer and prevents snacking in-between meals. Consuming rutabagas is also a delicious way to meet your daily requirements of essential vitamins. One-hundred and forty grams of the vegetable provides 35 milligrams of vitamin C, 0.14 mg of vitamin B6, 0.126 mg of vitamin B1, 12.07 g of carbohydrates, 427 mg of potassium, and 3.2 g of total dietary fiber. Nutritionists recommend taking rutabaga daily to prevent such illnesses as cancer and diabetes. There have been scientific reviews which point to swedes’ potency in boosting the immune system, regulating blood pressure levels, improving cardiovascular health, building stronger bones, treating constipation, and making enzymatic function more efficient. There are a few studies which suggest taking rutabaga to decrease the frequency and severity of migraines and epileptic seizures. Swedes should be eaten to improve digestive function. The rich fiber content removes excess toxins in the body by stimulating the gastrointestinal tract. Ingesting rutabaga effectively cleanses the gut, which has the inevitable effect of improving other body systems as well. This includes a healthier cardiovascular system. Rutabaga can be eaten raw or cooked, though most people prefer to boil it and make it as a mush (much like a potato). Nevertheless, swedes are relatively versatile and can also be baked, roasted, used a flavor enhancer, or grilled as a side-dish. 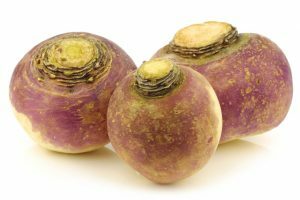 Swedes, otherwise known as rutabagas, are fibrous vegetables which promote overall health. These are low in calories but rich in nutrients. Their uses are mostly culinary and are not known to cure acute symptoms of any disease.